1. How much will it cost me to let my property? An EPC, which you will need to make available to prospective tenants at the earliest opportunity. Check if your estate agent can arrange for an EPC to be carried out on your behalf. BLUEWOOD can arrange your EPC for you. An inventory and check-in report, which should be organised before a tenant moves in. Ask your estate agent if they can arrange this on your behalf or provide an estimate. Costs vary depending on the size of the property. Your letting agent's commission fee, which is usually payable when a tenant is introduced and enters into an agreement to let the property. This is charged as a percentage of the agreed rental price + VAT at the prevailing rate. 2. Are there any additional marketing costs? NO not with BLUEWOOD as your agent should include all marketing expenses within their commission fee but it is worth checking this before you instruct another agent, as some may charge an additional fee for advertising inventories, check in, check out and a range of hidden costs. 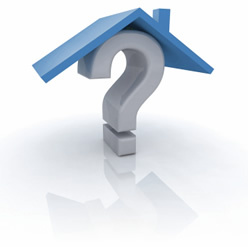 3. Who will conduct viewings on my property and when will they occur? Your agent should accompany all viewings during their opening hours. However, in some circumstances they may ask you to conduct the occasional viewing. It is advisable to choose a letting agent who offers longer opening hours to maximise viewing potential and minimise the number of viewings you have to conduct yourself. We at BLUEWOOD are open until 7pm with late night viewings up until 9pm. 4. Do I need to be present for viewings? If your agent is accompanying all viewings and they have the access codes and keys for your property then your presence is not required. It is worth noting that tenants often feel more relaxed when the owner is not present. 5. What is an EPC and how long will it be valid? An EPC (Energy Performance Certificate) measures the energy efficiency of a property using a scale of A-G and is valid for 10 years. 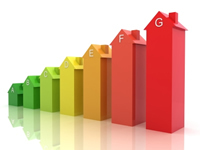 It is a legal requirement for landlords to have a valid EPC before their property is let. BLUEWOOD can arrange an EPC for you. 6. How much will it cost to have my property managed? BLUEWOOD Property Management fee will be charged as a percentage of the rental price + VAT and is payable upon the tenant signing the Tenancy Agreement. Refer to your estate agent's Terms and Conditions for an outline of the services provided by their Property Management department and the corresponding fee. 7. How much is the tenant's deposit and what happens to it? Typically this is four to six weeks' rent and is payable upon the signing of the Tenancy Agreement. The deposit should then be registered with a tenancy deposit protection scheme. BLUEWOOD hold the deposit as a stakeholder and register this with a deposit protection scheme, resulting in a faster and more efficient deposit release process at the end of the tenancy. 8. What does the new deposit scheme involve and how does it protect me? All deposits being paid by a tenant for an Assured Shorthold Tenancy are registered with a recognised deposit protection scheme within 14 days guaranteeing that any deposit disputes will be dealt with efficiently. 9. How long does it take to receive my rent once paid by the tenant? For a long let you should receive your rent by standing order within 5 working days after the rental due date each month. The due date is typically, although not always, the date on which the tenant moved in. Our high levels of service are open to independent review. It is advisable to only place your asset in the hands of registered professionals and as such we are members of and subscribe to the code of The Property Ombudsman and The National Approved Letting Scheme. We are fully insured and hold client money protection and professional indemnity insurance giving you full peace of mind.